especially in the Western world. Bring your own grocery bags - Green think (thing). In the line at the store, the cashier told an older woman that she should bring her own grocery bags because plastic bags were not good for the environment. Think again, who was green back then and now who is not thinking green. Is this what you call progress? Back then, we returned milk bottles, soda bottles and beer bottles to the store. The store sent them back to the plant to be washed, sterilized, and refilled, so it could use the same bottles repeatedly. Therefore, they really were recycled. We walked up stairs, because we did not have an escalator in every store and office building. We walked to the grocery store and did not climb into a 300-horsepower machine every time we had to go two blocks. Back then, we washed the baby's diapers because we didn't have the throw-away kind. We dried clothes on a line, not in an energy-gobbling machine burning up 220 volts -- wind and solar power really did dry the clothes. Kids got hand-me-down clothes from their brothers or sisters, not always brand-new clothing. Back then, we had one TV, or radio, in the house, not a TV in every room. The TV had a small screen the size of a handkerchief (remember them? ), not extra large size. In the kitchen, we blended and stirred by hand because we did not have electric machines to do everything for us. When we packaged a fragile item to send in the mail, we used a wadded up old newspaper to cushion it, not Styrofoam or plastic bubble wrap. By the way, plastic is indestructible. Back then, we didn't fire up an engine and burn petrol (gas) just to cut the lawn. We used a push mower that ran on human power. We exercised by working so we did not need to go to a health club to run on treadmills that operate on electricity. Don’t you think it is funny and stupid, that we save sweat by machine, and ask machine to sweat us. Back then, people took the bus (or tram) and kids rode their cycles to school or walked instead of motorized vehicle that pollutes the air. We had one electrical outlet in a room, not an entire bank of sockets to power a dozen appliances. We did not need a computerized gadget to receive a signal beamed from satellites 2,000 KM (miles) out in space in order to find the nearest pizza joint. (Were there so many pizza joint?). Let us really think green and put some action to save the planet Earth. It is the only one. Please share this with others, will you? 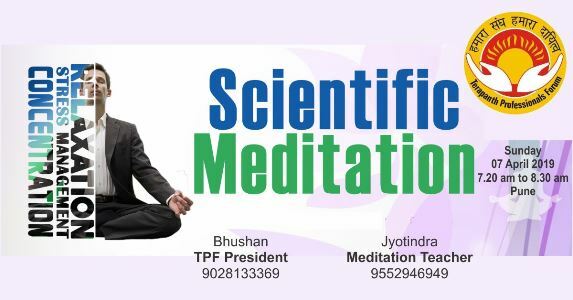 Progress in the direction of Emotional well being, Spiritual development with Preksha meditation's Scientific outlook by attending the camp organized under the direction of highly experienced Preksha expert Prof. Muni Mahendra Kumar. Special discourse on Preksha Meditation philosophy. Preksha therapy for emotional well being. Get solution for your queries from expert ascetic. Good residential facility including lodging and food.